With only one event remaining in the 2013 season the competition is as fierce as ever with only 15.50 points between first and second place in the Pro Championship Standings. Introduced this year were the additional championship titles: Manufacturer Championship and Tire Championship. The Manufacturer Championship is currently lead by Ford followed by Lexus and Nissan. Totals for each championship are determined by taking the top two eligible drivers from each event and adding both their qualifying and event final points for each category. Manufacturers are eligible when the chassis of the vehicle matches the engine i.e. Ford Mustang with Ford engine. Not eligible are chassis with non-matching engine i.e. Nissan 370Z with LS1 motor. Each championship will be determined at Round 7: Final Fight on October 11-12 at Irwindale Speedway. We will share a few interesting statistics from this season as we head into the Formula DRIFT finale. In 2013, we have seen a total of 61 different vehicles compete in the Pro Championship Series. 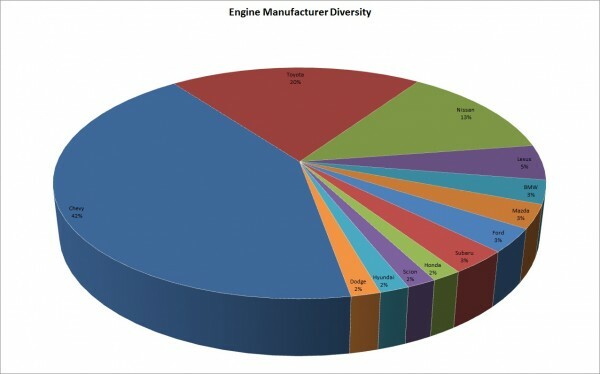 42% are running Chevy engines, while Toyota engines are represented in 20% of the field and Nissan in only 13%. 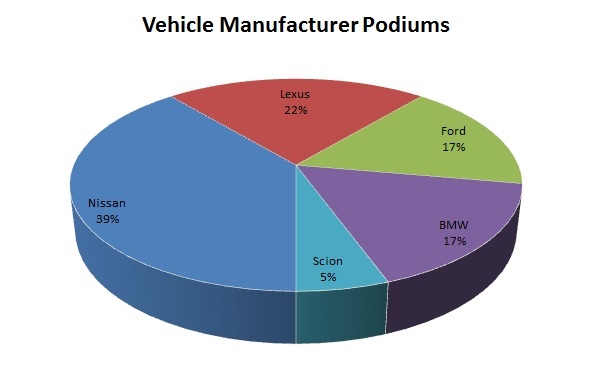 However, the diversity of various engine manufacturers to see the podium with 18 podium spots through six rounds is more competitive with 22% for Nissan and Lexus, 17% for Ford, BMW and Chevy and the remaining 5% for Scion. Breaking this down even further we found the following engine types on the podium. 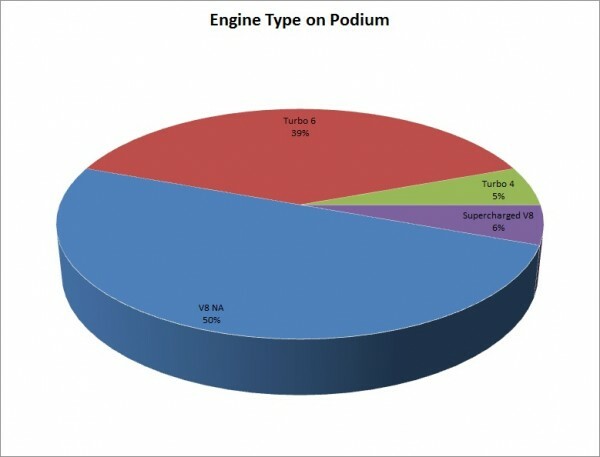 Naturally aspirated V8’s have lead the way with 50%, 39% have a Turbo V6, 6% with a Supercharged V8 and only 5% with a Turbo 4 cylinder. 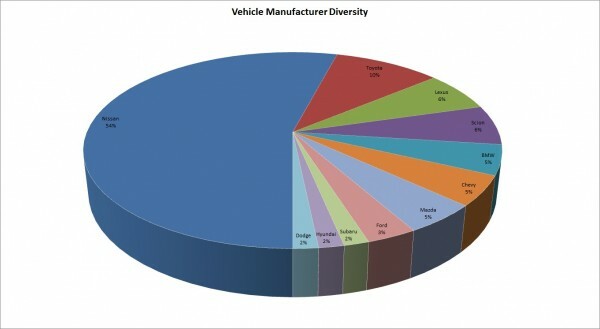 As we look into the tire manufacturers to reach the podium it is very close between the many manufacturers in the Series. 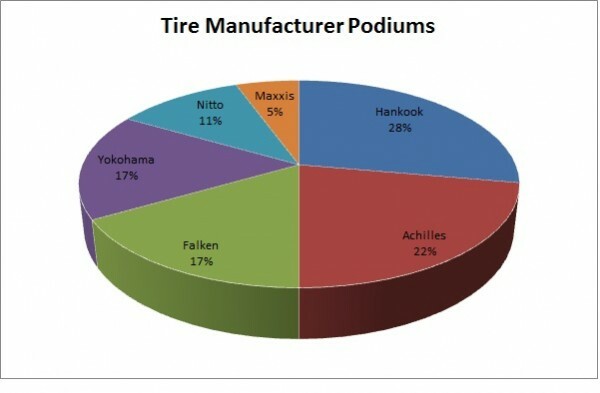 Hankook has a majority of the podiums with 28%, Achilles follows with 22%, Falken and Yokohama both have 17%, Nitto with 11% and Maxxis with 5%. 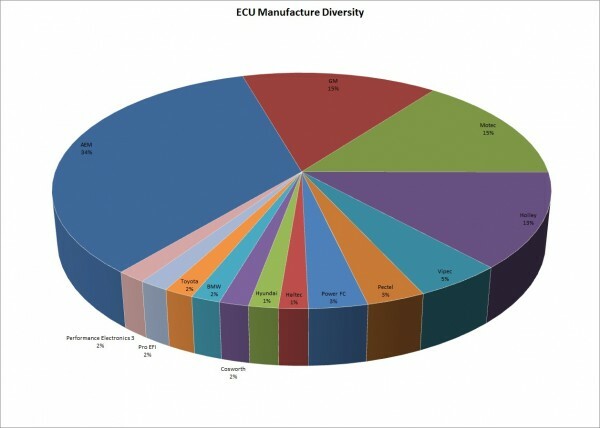 There is also a variety of ECU Manufacturers involved with AEM represented in 34% of the vehicles in the Series followed by GM and Motec with 15% each and Holley with 13%. 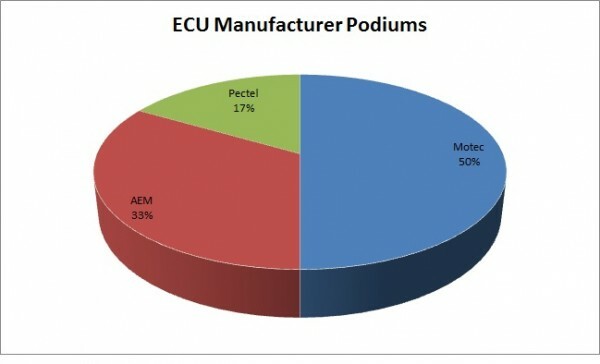 Interestingly, enough only three ECU manufacturers have found the podium this season with Motec having 50% of the podium finishes, AEM with 33% and Pectel with 17%.